The Lucban San Isidro Pahiyas Festival is dubbed as the most colorful harvest festival in the Philippines. Visitors flocking from all parts of the country are able to feast their eyes on beautifully decorated houses that puts the creativity of the locals on centerstage, and join the exciting celebration as a form of thanksgiving for a bountiful harvest for the municipality of Lucban. This year, freenet, the free internet and rewards platform of Voyager Innovations, is bringing good vibes all the way to the province of Quezon to join the merriment at the San Isidro Pahiyas Festival. Festival goers are in for a treat as freenet gives away amazing freebies, gadgets, and surprises – not to mention free data access and rewards – as part of the celebration. To get a chance to win awesome prizes, revelers just have to be on the lookout for freenet’s roving booths, download the app and register, and pick any of the freenet premium items available. To win a bigger prize, they must complete a mission of referring one friend to the freenet app. A lucky winner of a Samsung J2 Prime will be announced every day from May 13-15, 2018. 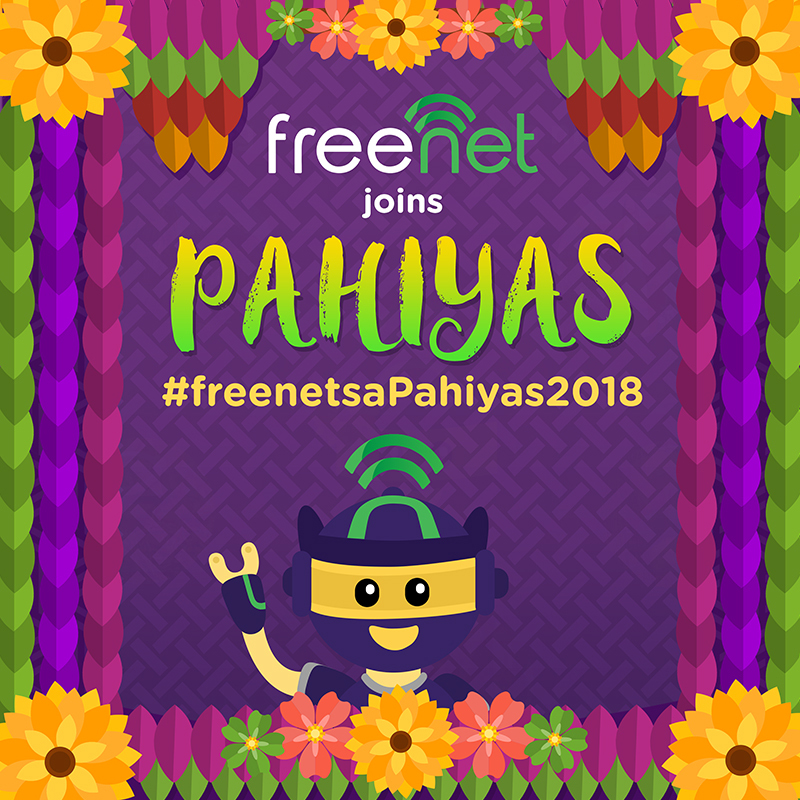 The treats do not end there though, as freenet has bigger and grander surprises to festival goers on May 15, 2018. Freenet will be on the lookout for the most creatively decorated house using purple materials, inspired by the color of the freenet logo. The winning house will get exciting cash prizes from the brand. Freenet has been serving up good vibes and treating Filipinos to awesome rewards at the most attended and celebrated festivals in the country – including Cebu’s Sinulog Festival, Iloilo’s Dinagyang Festival, Baguio’s Panagbenga Festival, and now, Lucban’s Pahiyas Festival. “We’re always excited to spread good vibes at the biggest celebrations in the country with freenet. 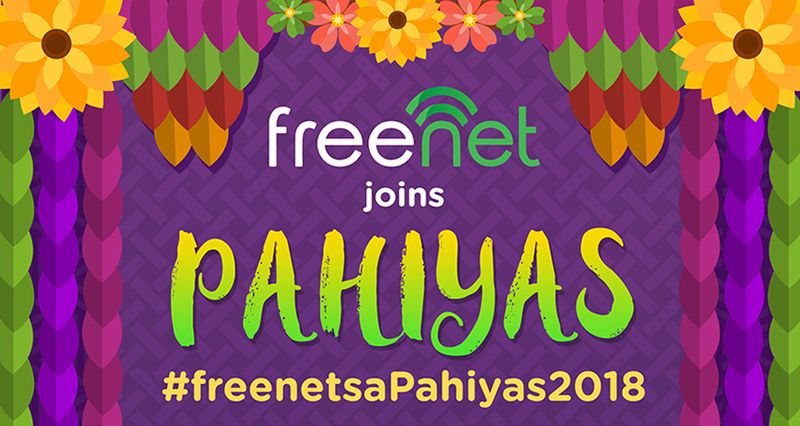 In the same way that we give locals and tourists awesome freebies and raffle prizes at these festivals, our goal is to give our users a more rewarding free internet experience whenever they use freenet. With our presence here at Pahiyas, we’re confident that more Filipinos will get to experience a fun and convenient life online, and the rewards that come with it,” Heidi Garayblas, freenet Business and Brand Management Head. Freenet is a platform that provides users with a rewarding free internet experience. Within this app, users can access their go-to apps and sites without having to purchase extra load or subscribe to data packages. On top of this, users can also get exciting rewards by completing missions and earning points within the app – all for free. Now users can easily shop at Lazada, enjoy convenient cashless shopping with PayMaya, and even earn airtime load, data packages, and gaming pins without having to worry about unwanted data charges. Previous ArticleTawag ng Tanghalan Season 2 Quarter 4 Semi-Finals kicks off!